Time to take a relaxing, soothing break for yourself. 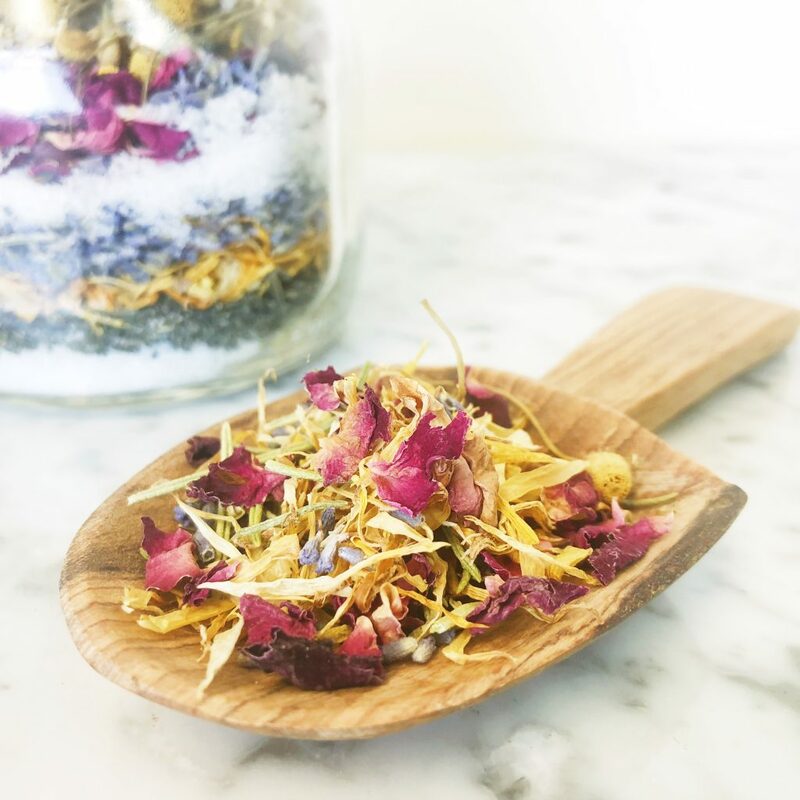 Our heavenly petals soothing bath tea combines a beneficial selection of petals, herbs, salts and essential oils. Tasmanian sea salt and Epsom salt work to relax the muscles, aid stress release and increase circulation, while the petals, herbs and essential oils will calm the mind and body. We recommend using a muslin cloth to contain the tea when taking a bath to reduce mess. Add all the ingredients into a glass bowl and gently toss together like you’re making a salad. The mixture will keep up to 6 months whilst sealed and kept from sunlight. 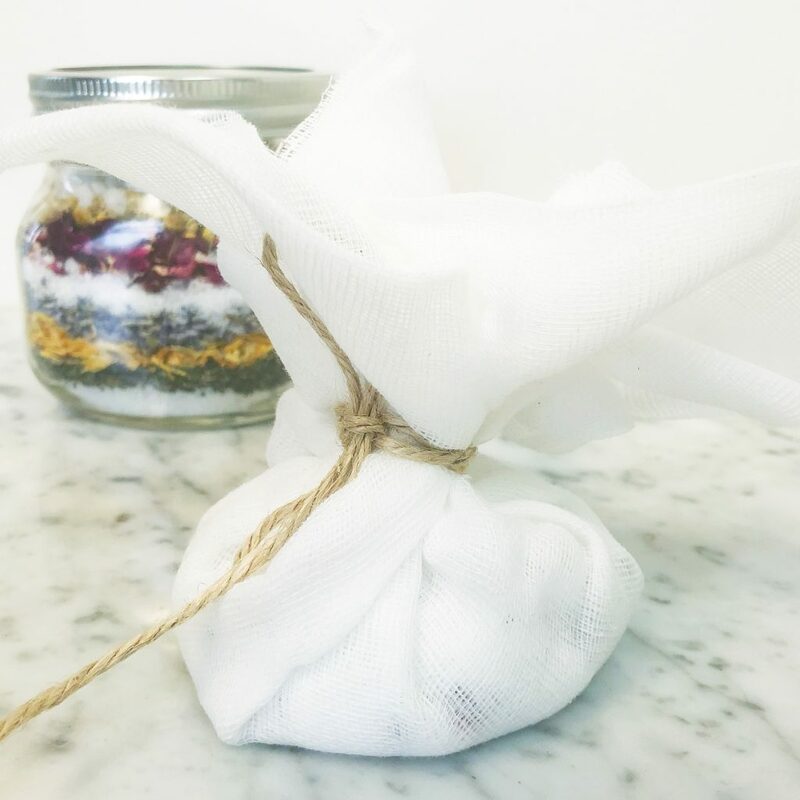 Pop a few tablespoons of the bath tea mixture into the centre of your muslin cloth and tie up with twine to close. See image below. Fill your bath with very warm water and place the tea bag into it. Soak and enjoy. When finished, empty your herbs into your compost or garden. Reuse your muslin bag.